There is something peculiar about the nature of something that should be comical once the supernatural brushes against it. Think about it. We all pretty much have a collective societal case of coulrophobia. Some even freak out at the mere mention of clowns. And pupaphobia isn't far different. Something about puppets, dolls, and those otherwise little cutesy playthings just drive us batty in ways that nothing else comes close! Of course, when your kiddo wants to truly freak out the world, that does give us a perfect option and our team of in-house designers do love to terrify the rest of us. 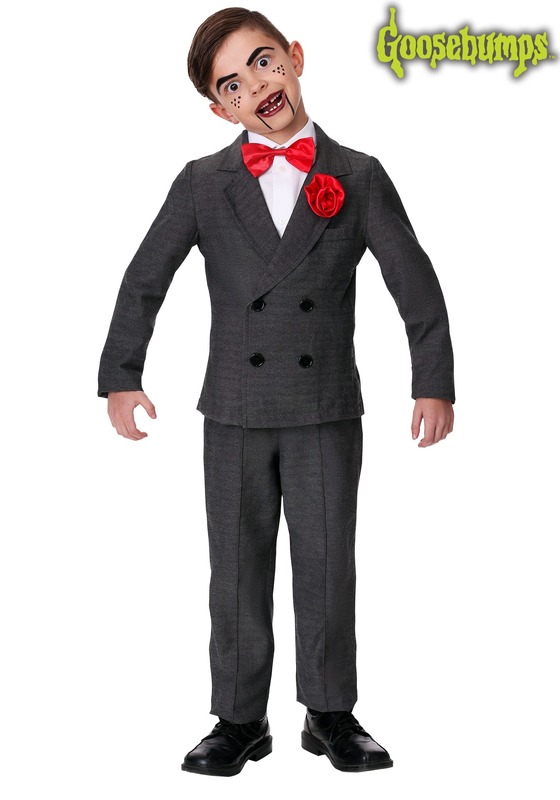 That is how this officially licensed Goosebumps Slappy Costume came to be! This lovely little suit might make for the cutest tyke that ever was thanks to the suit coat jacket and the red flower on the lapel. 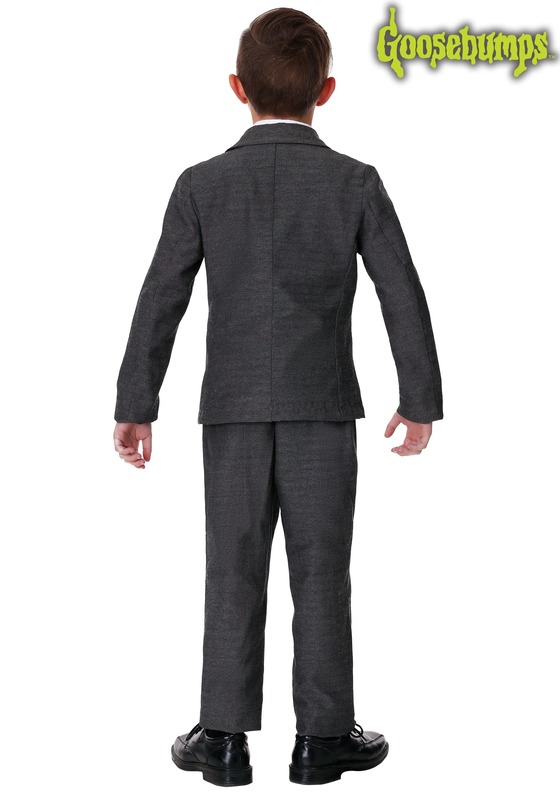 The matching pants feature a stylish pleat and the matching red bowtie is an easy fit thanks to a velcro fastener. Why, up until you make a few mannequin marks on their chin, your kiddo could just be fashion-forward!